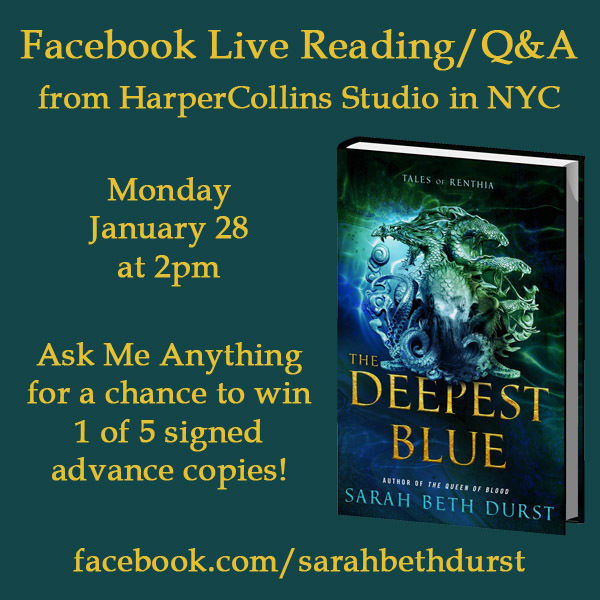 Just found out that I'll be visiting the HarperCollins offices in NYC on Monday and will be doing a reading/Q&A via Facebook Live for my forthcoming epic fantasy THE DEEPEST BLUE! 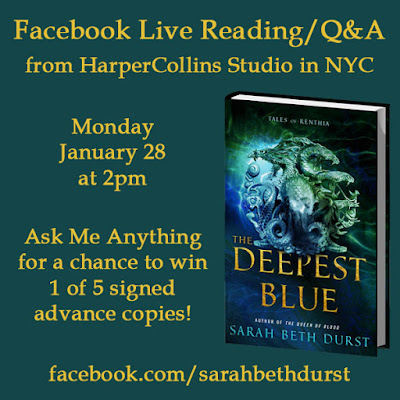 Click over to my Facebook Author Page (link below) on Monday at 2pm and ask me anything for a chance to win one of five signed advance copies! Since this will be LIVE, I'll most likely make a total fool of myself! You don't want to miss it!! !